(P1) North and South Korea are enemies. 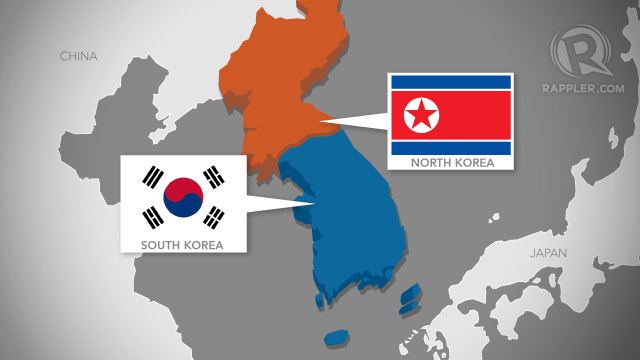 The situation between the two countries got worse after land mines wounded two South Korean soldiers along the border. (P2) South Korea said that North Korea put the land mines there, but North Korea said that this was not true. Because of this, and other reasons as well, there are tensions between the countries. (P3) North Korea’s television showed young people who want to go to war and destroy South Korea. South Korean reservists put photos of their military uniforms on the Internet and said that they are ready to fight. Do you think North and South Korea will ever be at peace? Why or why not? Which countries border your country? Are there tensions between your country and other countries? If yes, describe the situation. What hurt the two South Korean soldiers? Who put the land mines there? What did North Korea show on TV? What did the South Korean soldiers post on the internet?